Multi-function, illumination adjustable Instrument Panel brings a wealth of information to the rider in a concise manner and helps when setting rider-assist features. 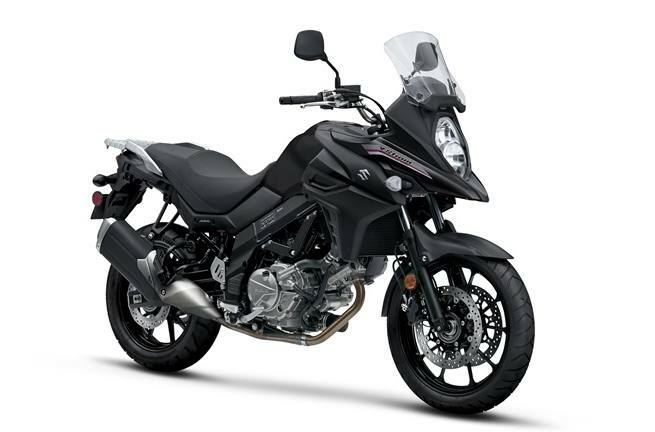 Strong and light chassis has integrated mount points for unified Suzuki V-Strom luggage that’s easy to clip on and off, and keeps the motorcycle trim when ready for touring. Using SV650 engineering, the V-Strom’s DOHC, liquid-cooled engine has more aggressive camshafts to deliver clean, strong power at any RPM. 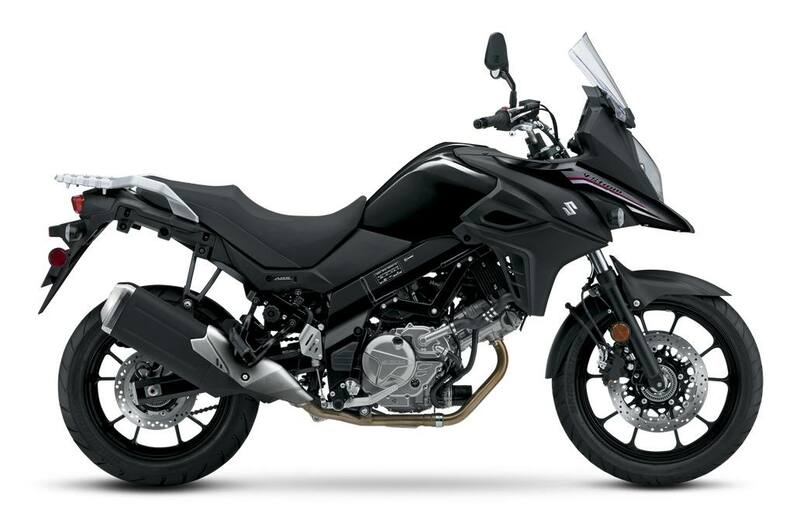 The beak-style fairing, with vertically stacked headlights and a stronger internal structure helps the V-Strom 650 ABS cut through the wind, protecting the rider in style. The fuel tank has a generous 5.3 gallon capacity, but is shaped to be thin at the rear to flow into the slimmer seat which aids the rider in touching the ground at stops. Light, ten-spoke cast wheels are shod with Adventure-spec Bridgestone BATTLAX 19-inch front and 17-inch rear tubeless radial tires for good all-around performance. 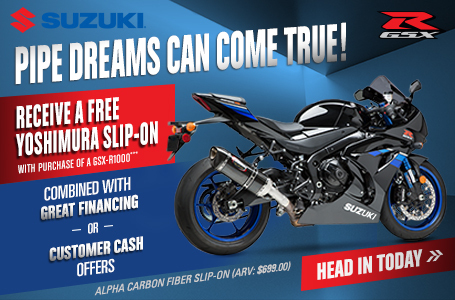 Even with a variety of features and advanced engineering, the 2018 V-Strom 650 ABS’s weight is 2.2 pounds less than the prior generation V-Strom 650. The multi-function instrument panel is similar in appearance to the V-Strom 1000 ABS panel, but has functions unique to the V-Strom 650 ABS.